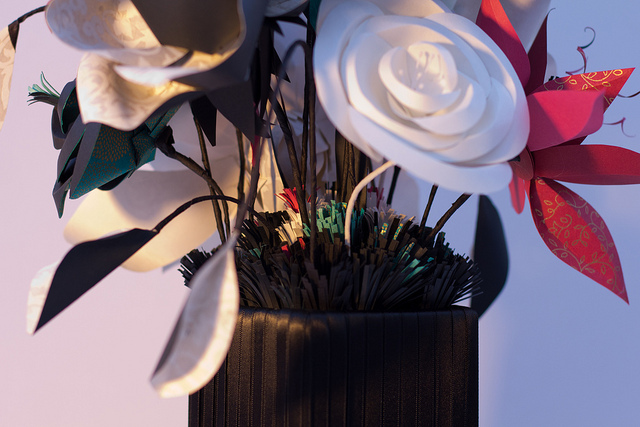 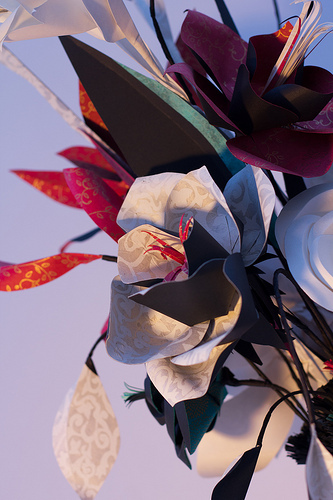 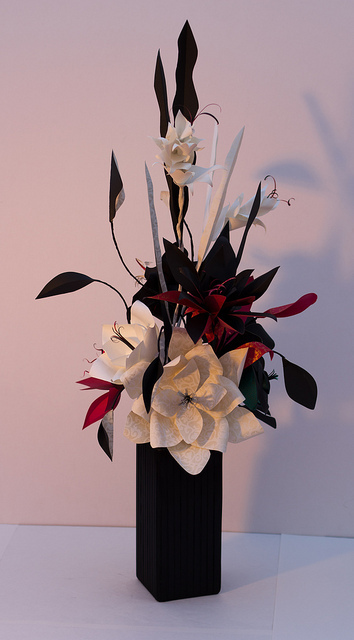 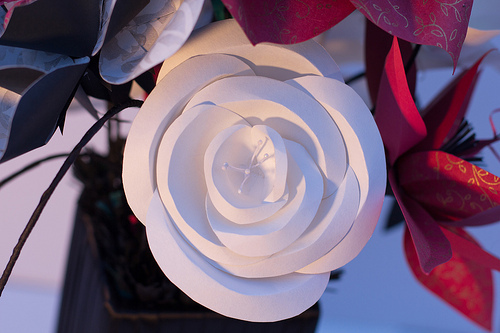 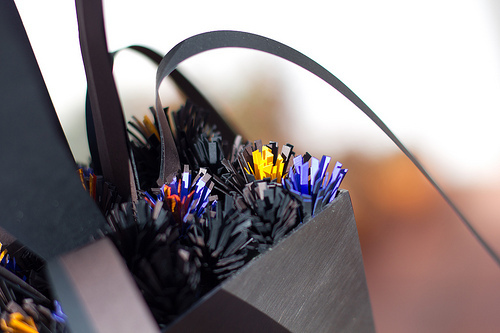 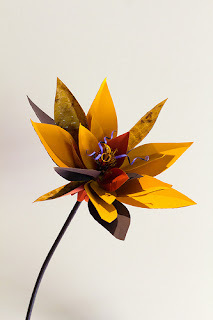 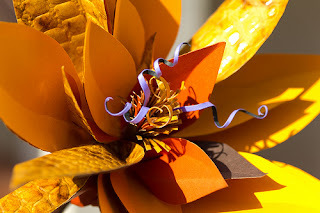 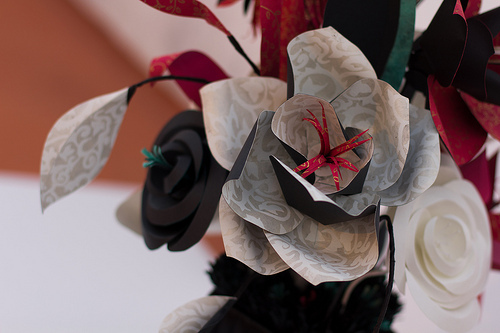 A collaboration between Dave Wescott and Susan Spehar, this sculpture features some of the best paper flowers Los Angeles has to offer. 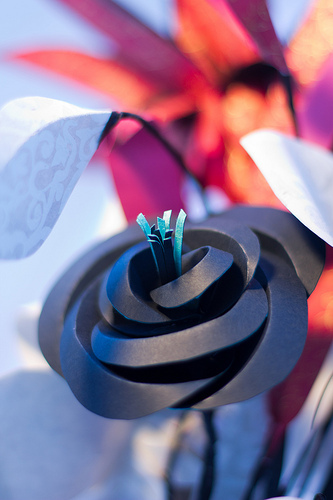 Imagine similar arrangements at your wedding or event, done in the color palette of your choice! The first in a space-inspired series by Paper Botanicals artist Susan Spehar. Love and war unite in this fiery yet delicate extraterrestrial Lily: Venus Meets Mars! 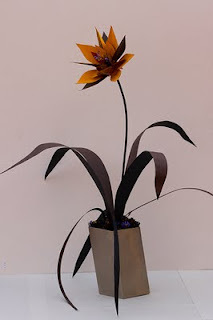 Thank you to Eric Fell for the images.